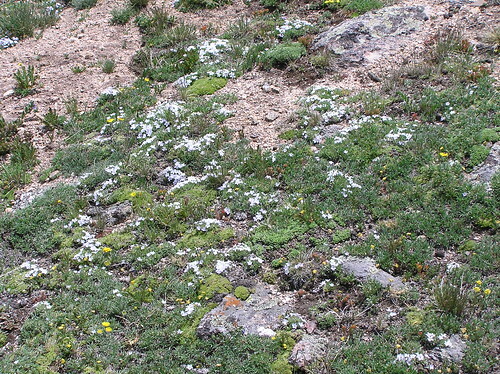 Lichen is a plant that is a mixture of both fungus and an alga. It grows well without soil, even on bare rock. It is an important food for creatures like reindeer, which dig underneath the snow-covered soil to find it. Mosses are flowerless plants that grow very close to the surface of the ground, forming a soft, spongy cushion. They have tiny rootlets that absorb moisture and minerals. 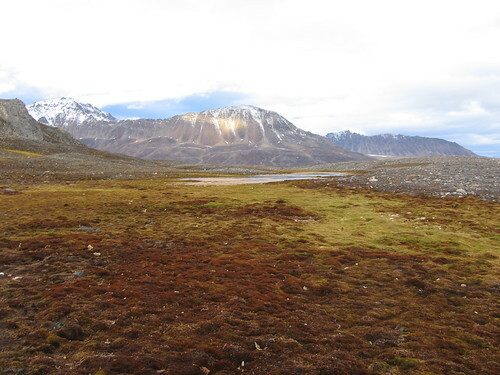 Many plants have dark red leaves so they can absorb as much heat from the sun in the cold tundra climate as possible.